Julie is our all-rounder expert. She has a wealth of nutrition experience and has been in the industry for over 15 years. Julie looks after all of our sectors – calf, dairy, lifestyle and equine. A keen netballer and Appleton’s rum drinker, you can find her with her family and dogs when she is not working. 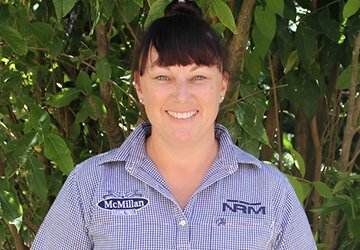 Julie loves building relationships with our customers, whether it is in-store or on-farm with farmers – she especially enjoys and is an expert in the calf side of our business.